Danielle (Ever After) -- "You're Gonna Hear Me Roar!" How many times have wewe seen this movie? mashabiki wanachagua: zaidi than three times. 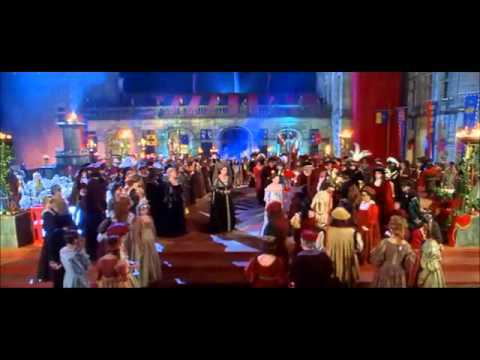 Did wewe cringe au nearly cry when Henry rejected Danielle at the ball? Have wewe watched any of Dougray Scott's other films? Which ones? Dougray Scott was the perfect Henry? mashabiki wanachagua: Yes, wish he were my Henry. Yes, wish he were my Henry. Which Ever After character do I look most like? I adore Ever After and when the movie came out I hoped zaidi fairy tale inspired films might be released in the same beautiful style. Sadly that didnt happen and everytime I watch Ever After I cant help wish someone could tell Andy Tennant au 20th Century fox, mbweha to do other sinema along this line; such as Beauty & the Beast, Sleeping Beauty and the Frog Prince. Ever After told the cinderella story in such a dreamlike way yet making it seem true. It wasnt turned into a silly comedy au musical (good as those might be). An introduction to and history of the Ever After fandom that anyone can edit. I just rewatched this for the first time in years! I hadn't watched it since my dad died; it was one of me and my sisters and my dad's inayopendelewa sinema when I was a kid, and it felt weird watching it without him, but it's such a beautiful movie and I upendo it so much. I did cry after watching it 'cause it made me miss my dad, but I just try to think of how much fun we all had watching it, and how much we loved it and all the lines we used to quote. a video iliongezwa: Danielle (Ever After) -- "You're Gonna Hear Me Roar!" What are the first names of the Grimm Brothers? ATTENTION EVER AFTER FANS, NEW SPOT!!! !